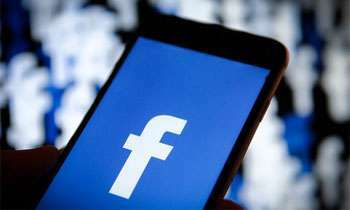 Three months after Sri Lanka was rocked by deadly anti-Muslim riots fuelled by online vitriol, Facebook is training its staff to identify inflammatory content in the country's local languages, AFP reported. "We did make mistakes and we were slow," Facebook spokeswoman Amrit Ahuja told AFP in Colombo. The dearth of staff fluent in Sinhala - the language spoken by Sri Lanka's largest ethnic group - compounded the issue, with government officials and activists saying the oversight allowed extremist content to flourish undetected on the platform. "This is the problem we are trying to address with Facebook. They need more Sinhala resources", said the island's telecommunications minister Harin Fernando. Complex local nuances have added to the challenge. The word for "brother" in Tamil - also an official language in the country - can be a derogatory term in Sinhala when a slight inflection is used. Ahuja said Facebook has since taken down "hate figures and organisations" in Sri Lanka including the Bodu Bala Sena, a radical Buddhist outfit that is blamed for attacks against Muslims in recent years. That is the official language of the country and everyone should know it. Three main languagess speak in lanka.once main language was wedda languge.after sinhalese invaders occupied the island,their language esrablished.then tamils came from india too.then europeans.with new comers new languagess came with them. What the hell? Just hire couple of well qualified Sinhalese. Do that for every language in the world since Facebook spans across the world.. I think there are already Sinhalese working for Facebook for sure. .
Fc also can.make mistakes as all others.but its shame that why this stuoid negligence taken place.its simple to translate any language in world to other languages by internet.without offering stupid excussess fc make the correctiins quickly without creating more damage to its allready suffering image. They will also need to learn tamil which is the other language used in this country. Just can't imagine how this still goes on! After all the harm it has done to families and values. (1)The Srilankan government of good governance blocked the social websites !! Saying that people use these sites to promote violence !! We had violence against minority's in Srilanka !! Since 1956 when it was known as Ceylon !! Those days we did not have social web sites !! Phones !! Mobiles !! Televisions !! Radios in every homes !! But still we had violence against minority's !! As long as the politicians,political leaders,successive governments,its authorities,protect the wrong doers it will continue !! (2)Not a single Srilanka's elected leader willing to solve the ethnic issue !! Their power is based on anti ethnic anti Tamil !! The goverment ,its authority's,countries most of the Sinhala/English media and politicians who uphold the same !! Impunity !! Protection !! Promotion !! Awards !! Praising as patriots !! Heroes !! For the wrong doers !! since long !! That's the reason for the exsisting problem in the country !! And also why is there no punishment meted out yet ? Its so funny to see people like you with a very narrow mind. Grow up brother guess the way you bought up is the problem.. The cartoon shows the students on their way to SL Parliament for tuition!! !